Located on the northern shore of Kyushu, Fukuoka is one of Japan’s most vibrant cities: It is the fastest-growing city outside Tokyo, it has the youngest average population and has gone to great lengths over the past few years to position itself as Japan’s startup capital. Compared to larger cities such as Tokyo or Osaka, Fukuoka is extraordinarily compact: It takes just 10 minutes to get from the airport to the city center. Yet the city packs in an extraordinary amount into that space: from beaches and mountains, to Japan’s oldest Zen temple and even one of Asia’s 50 Best restaurants. For visitors, this is excellent news: In one weekend you’ll see a microcosm of Japan as a whole and leave infused with the city’s boundless energy. To get a feel for Fukuoka, head first to Ohori Park (Ohorikoen 1-2, Chuo-ku; ohorikouen.jp/en), to the west of the city center. Built around a lake that once served as part of Fukuoka Castle’s moat system, the park reflects the city’s relaxed nature: families stroll the wooded park areas, couples occupy pedal boats on the lake, while runners and cyclists pace the lakeside running track. Walk around the lake — or cross it via the island bridge in the center — to Fukuoka Art Museum (Ohorikoen 1-6, Chuo-ku; fukuoka-art-museum.jp; currently under renovation, but due to reopen in March 2019), which hosts a wide range of modern and pre-modern art by both Japanese and non-Japanese artists such as Rothko and Dali. From the museum, cut through into Maizuru Park, home to the ruins of Fukuoka Castle (Jonai, Chuo-ku). Though the castle no longer has a keep, its impressive walls stand testament to the coastal city’s regional importance. The castle’s walls run in concentric rings to a viewing platform in the center where the keep once stood. From this vantage point, you can see from Fukuoka Tower in the west of the city to the Hakata Port Tower in the east. 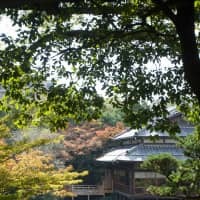 Grab a taxi or bus for the 10-minute drive to the Yusentei Park teahouse (Yusentei 1-46 Jonan-ku; yusentei.com). The glassy pond at the center of the gardens is filled with vibrant koi carp that can be fed from the main tea house, where green tea and delicate wagashi sweets are served for ¥300. To get back to the city center, walk back to Ropponmatsu Station and on the way stop off at Coffeeman (Ropponmatsu 4-5-23, Chuo-ku; coffeeman.jp), a coffee shop run by the award-winning barista Takaomi Eguchi. The shop roasts its own beans and offers a variety of blend and single-origin coffees. If you’re peckish, the pastries at next door Matsupan (matsu-pan.com) are sublime. Fukuoka Prefecture is the birthplace of tonkotsu (pork-bone) ramen. It is arguably Fukuoka’s most famous dish and a number of international chains such as Ichiran and Ippudo originated here. Some of the best ramen can be had at Hakata Issou (Hakataekihigashi 3-1-6, Hakata-ku; hakata-issou.com); its tonkotsu soup is so popular that it has been nicknamed “pork bone cappuccino” by locals and queues regularly stretch out of the door. Off the beaten track is Mogura ga Ore o Yondeiru (which translates to “the mole is calling for me”; Daimyo 1-9-18, Chuo-ku), a Showa Era (1926-89), hole-in-the-wall ramen shop that serves its own unique take on tonkotsu ramen and over 100 varieties of the spirit shōchū. The Hakata area has long been Fukuoka’s business hub and around the station there are a number of prestigious temples including Shofukuji (Gokushomachi 6-1, Hakata-ku; shofukuji.or.jp), which, in 1195, was the first Zen temple to be established in Japan. Another temple well worth visiting is Tochoji (Gokushomachi 2-4, Hakata-ku), which has a magnificent five-story pagoda and Japan’s largest wooden seated Buddha, at a height of 10.8 meters. A little further away from Hakata Station is Kushida Shrine (Kamikawabatamachi 1-41, Hakata-ku), from which Fukuoka’s celebrated Hakata Gion Yamakasa Matsuri festival begins each year. To the left side of the main shrine is a decorative float used in the Yamakasa festival. From Kushida Shrine, walk up the Kawabata Shopping Arcade to the Fukuoka Asian Art Museum (Riverain Center Bldg. 7F; Shimokawabatamachi 3-1, Hakata-ku; faam.city.fukuoka.lg.jp), which has a permanent collection of around 3,000 pieces of modern and contemporary Asian art and regularly changing temporary exhibitions. 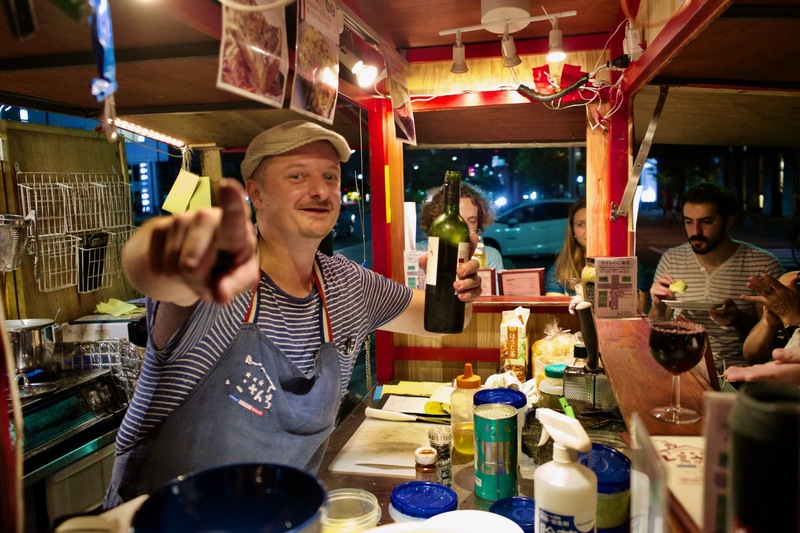 A trip to Fukuoka is truly not complete without sampling one of its yatai food stalls. There’s been no better time to try one: In April 2017, 23 new yatai opened across the city — the first new openings since the 1990s — and competition and quality has never been fiercer. 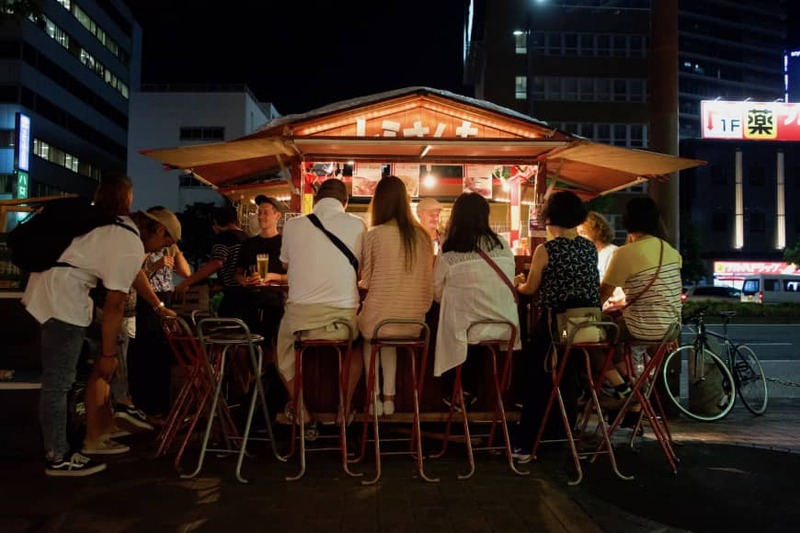 The most scenic yatai are along the Naka River — Yamachan (Nakasu 1, Hakata-ku) serves excellent ramen and yakitori — but more innovative yatai can be found near Tenjin Station. Kensuke Kubota of Telas & Mico (Watanabedori 4-9, Chuo-ku; telas-mico.com) serves up gourmet food inspired by his years training at the London branch of the Japanese-Peruvian restaurant Nobu, while Frenchman Remy Grenard operates the only non-Japanese-run yatai in Fukuoka, the eponymous Remi Sanchi (Watanabedori 4-9, Chuo-ku). Oyafuku-dori translates to “badly behaved child street” and is where much of the city’s nightlife is focused. Kieth Flack (Maizuru 1-8-28, Chuo-ku; kiethflack.net) is a hit-or-miss live house with a Gaudi-like exterior that hosts many of the city’s up-and-coming musical talent, while the city’s largest club is Cat’s (Tenjin 3−7-13, Chuo-ku; club-cats.jp) located above the popular “drag” show/club Anmitsu Hime. Alternatively, head to the nearby Daimyo, which is full of tiny bars and late-night restaurants, and packed with the city’s youth. 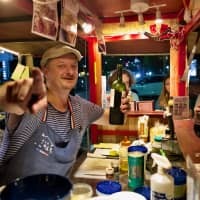 The Nakasu area is best-known for its more salacious nighttime experiences, but includes some gems including VowzBar Hakata (Nakasu 5-4-23, Hakata-ku; vowzbar-hakata.jimdo.com), a cocktail bar run by a monk. Shrug off any remnants of the previous night with an early morning visit to Dazaifu Tenmangu shrine (Saifu 4-7-1, Dazaifu; dazaifutenmangu.or.jp/en), in the town of Dazaifu, about 30 minutes by train from Nishitetsu Tenjin Station. The shrine is dedicated to Sugawara no Michizane, a 9th-century scholar and poet deified as the Shinto god of literature and calligraphy. Great coffee can be had at the old-school kissaten coffee shop Coffee Rankan (Gojo 1-15-10, Dazaifu; rankan.jp), and the main parade leading to the shrine has numerous restaurants and cafes, as well as stands selling umegae mochi, fried rice cakes stuffed with adzuki bean paste. 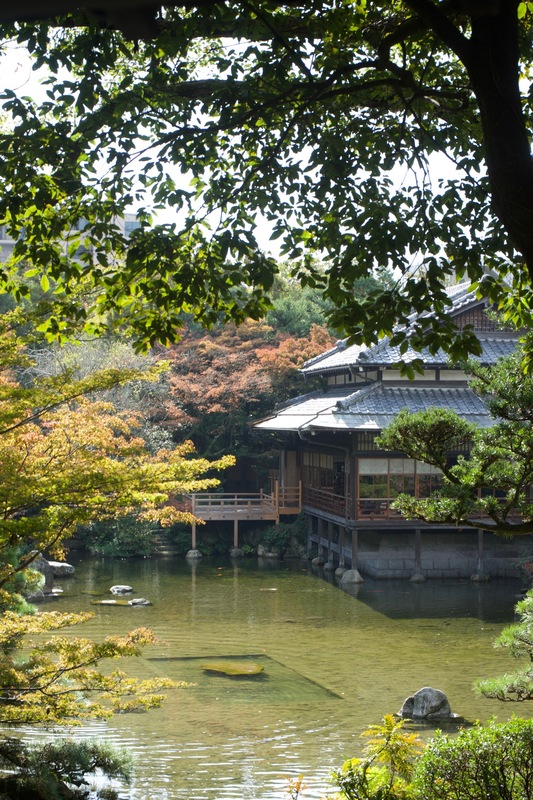 Note the Kengo Kuma-designed Starbucks and proceed on to the outer gardens of the shrine, with its giant camphor trees and koi-filled lakes. Behind the main hall are the shrine’s famous plum orchards, which burst into flower in early spring. 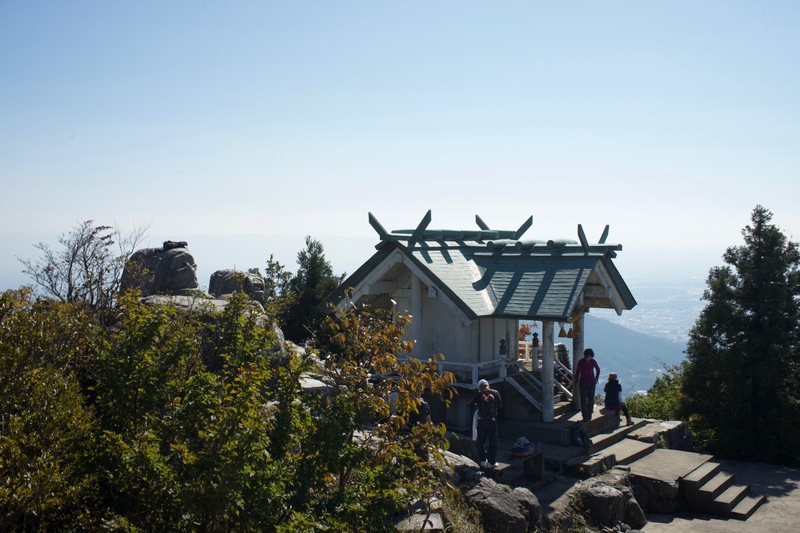 From Dazaifu Station, catch a bus to Mount Homan, one of Fukuoka Prefecture’s tallest mountains at 829 meters high. The hike affords excellent views over the city to the north and takes four to five hours round trip. 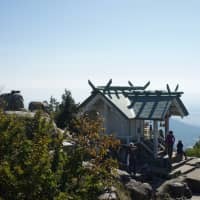 The trail runs between the recently renovated Kamado Shrine (Uchiyama 883, Dazaifu; kamadojinja.or.jp) and an outpost at the top of the mountain. A pilgrimage between the two is said to help people find love. Pick up a packed lunch in Dazaifu before you go. There’s no place for a spot of shopping like the Daimyo district (Daimyo, Chuo-ku) to the west of Nishitetsu Tenjin Station. As you head further from the station, international designer brands disappear and are replaced by stylish local boutiques and a never-ending collection of small cafes and restaurants. Wander around at your leisure and explore every nook and cranny you come across. La Maison de la Nature Goh (Nishinakasu 2-26, Hakata-ku; gohfukuoka.com) first made it onto the list of Asia’s 50 Best Restaurants in 2016 — the first restaurant in Kyushu to do so — and re-won its place in 2018. The French-inspired restaurant is not the easiest to find, hidden in the alleyways of Nishinakasu, yet it is well worth the effort. Owner-chef Takeshi Fukuyama serves dishes using seasonal ingredients from Fukuoka and Kyushu; Fukuyama’s signature dish is a sauteed foie gras with seasonal vegetables. Reservations are a necessity. Bar Leichhardt (Nishimura Bldg. 5F, Watanabedori 2-2-1, Chuo-ku) is owned and run by whisky connoisseur Yu Sumiyoshi, who has a collection of over 3,000 bottles of whisky. The counter is worthy of a story itself, its camphor wood surface iridescent beneath the bar’s soft lighting. Sumiyoshi speaks English fluently and has a savant-like memory for the details of each bottle. A 10-minute ferry ride from the Meinohama Ferry Terminal across Hakata Bay is Nokonoshima (Noko, Nishi-ku; nokonoshima.com/en), an island celebrated for its ocean-facing flower park, which hosts year-round displays of flowers including cosmos, daffodils, rapeseed and cherry blossoms. There is a beach for swimming in the summer, and it’s possible to camp on the island if you have more time. The Noko Burger sold at the burger stand in the port is particularly good. 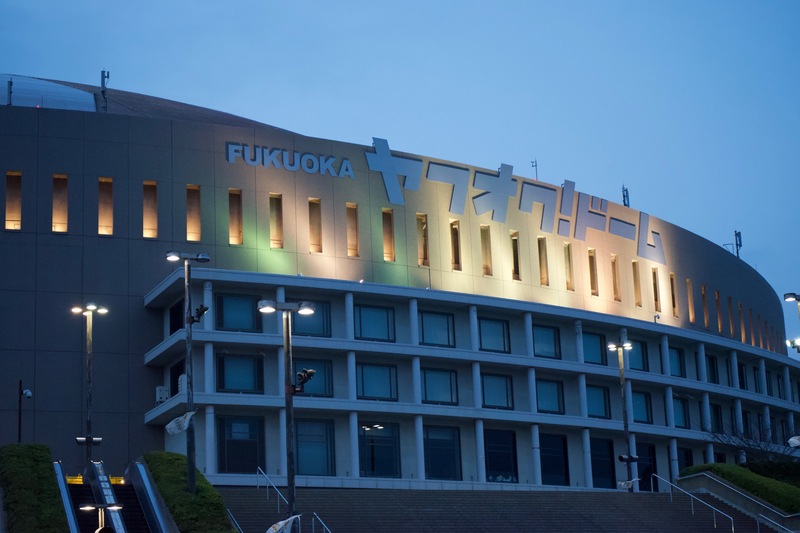 This is the second installment of a monthly series that will introduce each of the 12 host cities of the 2019 Rugby World Cup.Fukuoka will host three games for the 2019 Rugby World Cup in the Fukuoka Hakatanomori Stadium (Higashihirao Koen 2-1-1, Hakata-ku). The stadium is located close to Fukuoka Airport in the east of the city and is a six-minute bus ride from the airport. From the Tenjin or Hakata areas, take the Kuko Line to Fukuoka Airport and catch a bus from there. Fukuoka offers a wide variety of accommodation and its compact nature means that location is not as important as it might be in a bigger city. 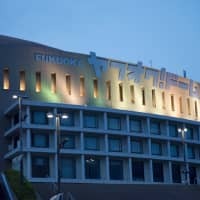 Fukuoka’s most iconic hotel is the four-star Hilton Fukuoka Sea Hawk (Jigyohama 2-2-3, Chuo-ku), built on the coast and overlooking Fukuoka Tower and the Fukuoka Yahuoku! Dome. Hotel Nikko Fukuoka (Hakataekimae 2-18-25, Hakata-ku) has an excellent panoramic swimming pool and is a 3-minute walk from Hakata Station. & And Hostel (Kamikawabatacho 10-5, Hakata-ku), boasts of being the first “smart hostel” in Japan, and its private rooms incorporate “internet of things” technology. The hostel is reasonably priced and well-positioned in the Kawabata Shopping Arcade. Fukuoka is served by Fukuoka Airport, which is a short subway or bus ride away from the center of the city. Hakata Station acts as the main rail hub for the city, and is connected to Tokyo by bullet train. Local trains leave from both Hakata Station and Nishitetsu Tenjin Station. Fukuoka’s public transport system is comprehensive, with three subway lines serving the city and a wide coverage of bus networks outside of the city center. Public transport ends shortly after midnight, after which taxis become one of the few ways to traverse the city. No problem if you’re staying local, but fares can be exorbitant if you plan to travel more than a few kilometers.